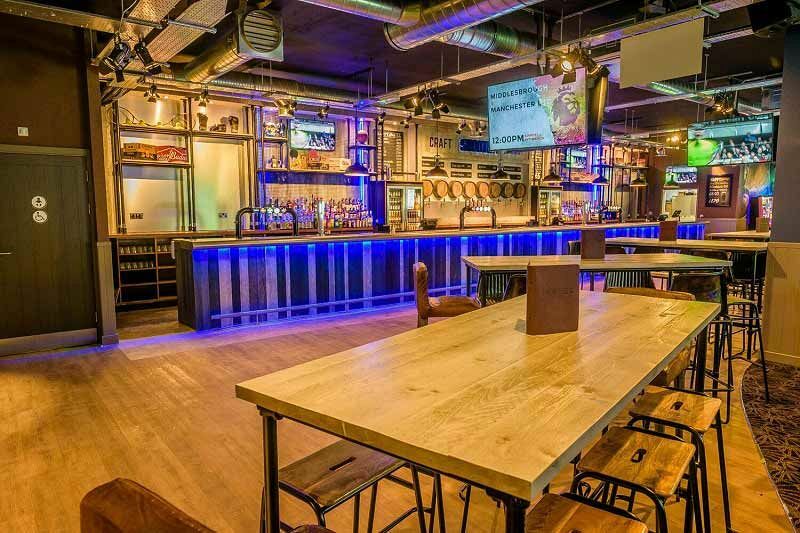 Tis the season to eat, drink and get merry at this top sports bar in Nottingham and celebrate the best time of the year! With food menus to suit all budgets and an extensive choice of drinks, you and your team will experience an evening consisting of everything you could possibly want! 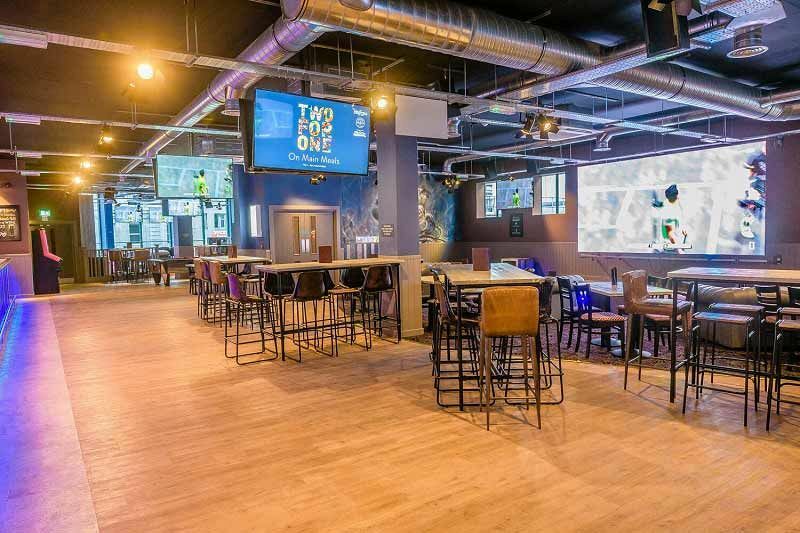 Situated in Nottingham city centre, it won’t take you long to realise that this isn’t just any old bar; it’s also a premier sporting venue fitted with stylish furnishing and gives the opportunity to partake in a variety of games as well as watching. 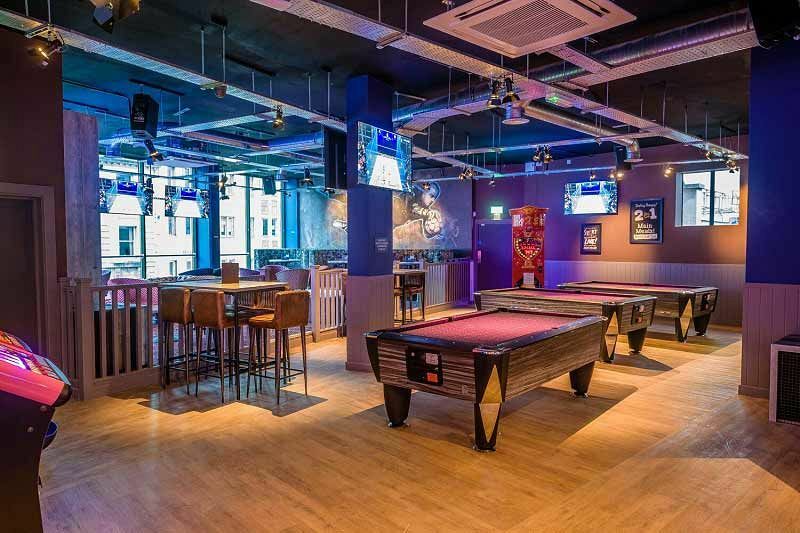 The bar offers four pool tables, and a punch machine in addition to two shuffle-boards, if you fancy getting a bit competitive with your colleagues! Choose from a delicious variety of buffet packages which start from just £11.67 per person excluding VAT. Included in these buffets are a fantastic assortment of tasty items, which include the likes of Handmade Baguettes, Bratwurst selection, Spring Rolls and plenty more. With something on the menus for all taste buds, everyone will be a winner here! There’s also a selection of delicious drink packages available which includes festive wines and beers or how about treating your team to a sparkling reception and starting off the evening in style? For a Christmas party this year, look no further than this top venue, where a relaxed and laid back environment will be enjoyed by all guests - book your exclusive celebration today!